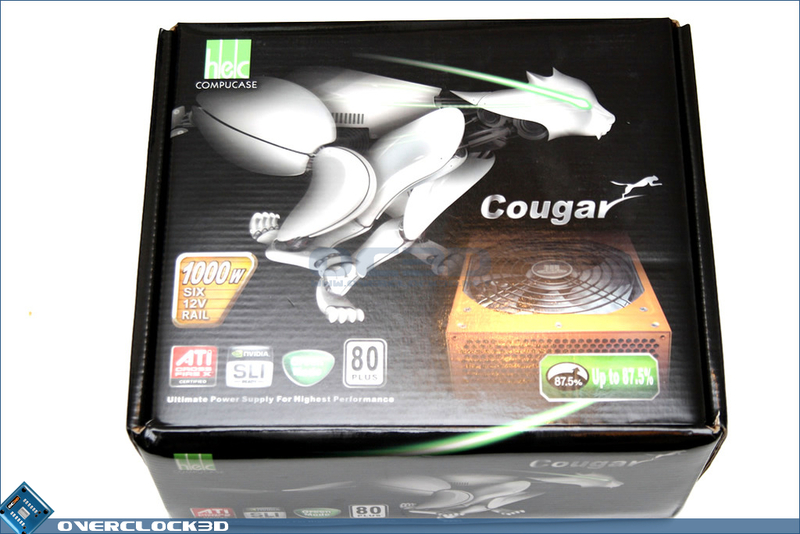 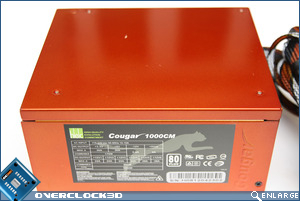 HEC get straight down to business on the front of the Cougar 1000CM box with a picture of the unit in all its orange glory accompanied by a large image of a robotic feline in a bounding pose. 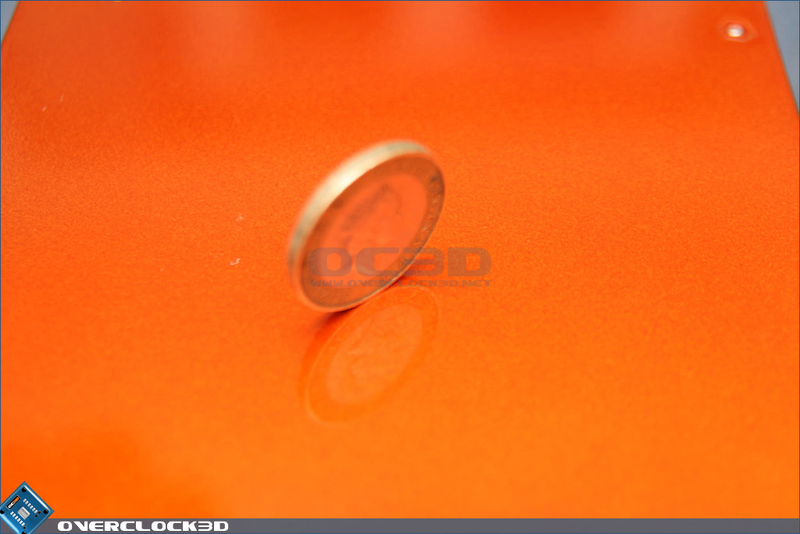 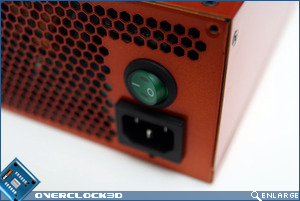 Several certification stickers are lined up toward the bottom with features such as 87.5% efficiency, 1000w output and six +12v rails all being clearly visible. 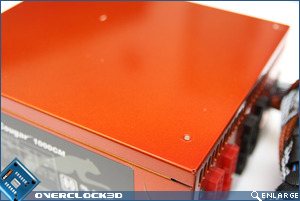 Flipping the box over reveals a specification list similar to the one on their website in a total of six languages. 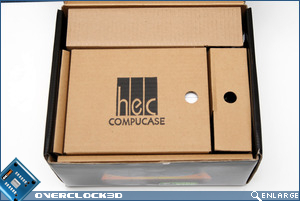 No matter which side of the box you look at HEC have printed something there for you to read. 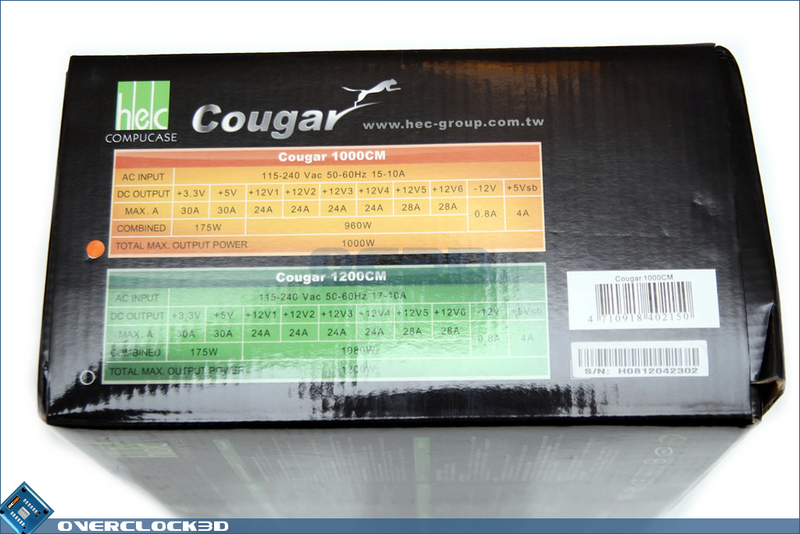 At one end of the box you will find yet another specifications list, only this time with several images to represent each of the main features, while at the other end of the box HEC have printed rail distribution charts for both the Cougar 1000CM and 1200CM models. 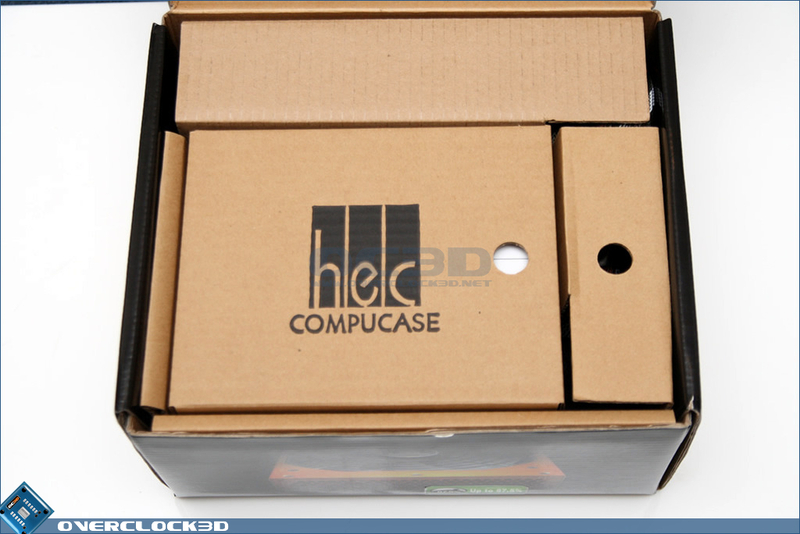 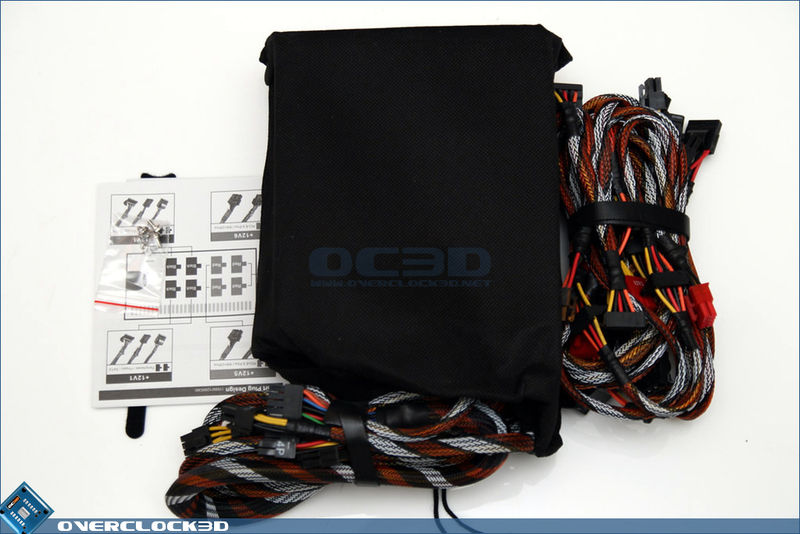 Opening the box reveals three cardboard compartments that house the PSU, modular cables and other accessories such as the case screws and manual. 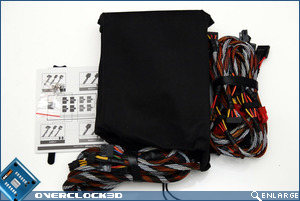 The PSU itself is placed inside a black canvas drawstring bag that should protect the unit from any minor marks or scratches caused by contact with the cardboard packaging during shipping. 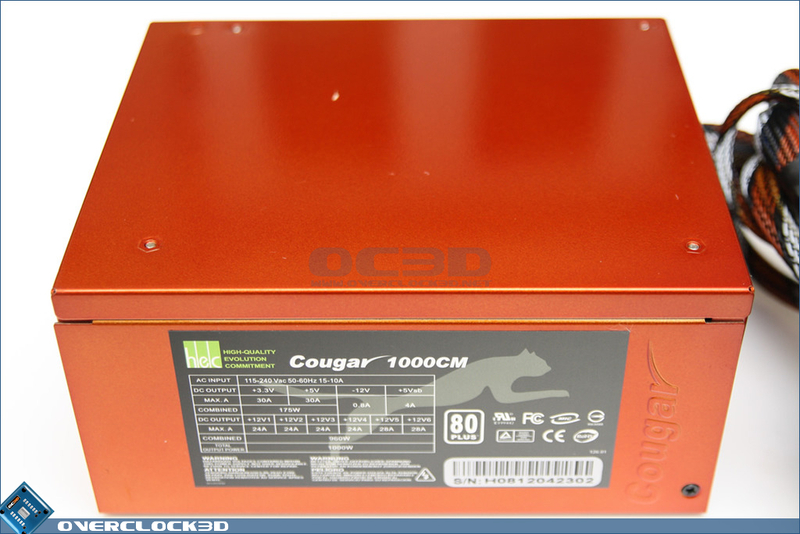 Although there's no moulded polystyrene inserts like we've been seeing more and more recently from companies such as Corsair and OCZ, the thick cardboard ribbing around the PSU area of the box should be enough to protect the unit from most knocks, dents and drops. 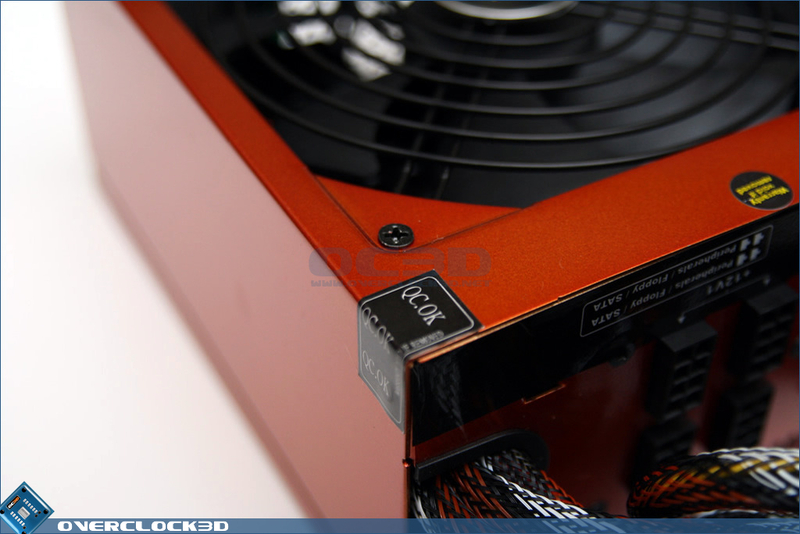 They say that first impressions count and HEC certainly seem to have taken this to heart with an extremely striking metallic orange paintjob contrasted with a black fan grill and screws. 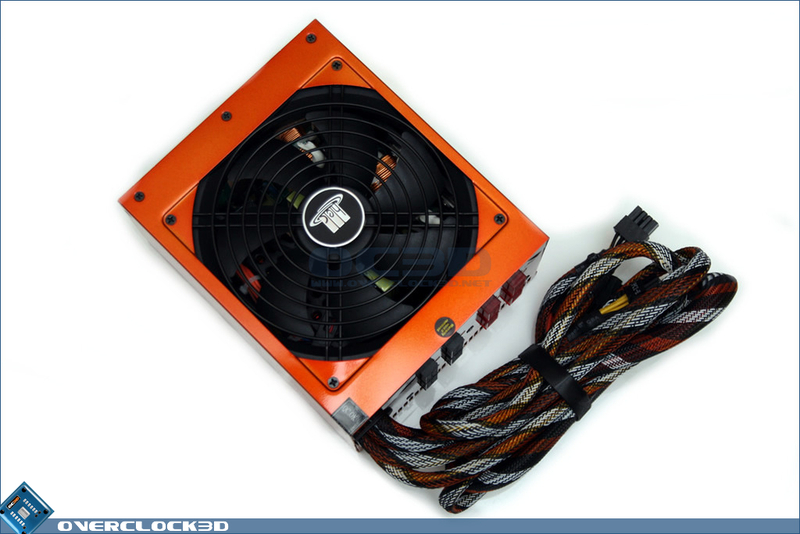 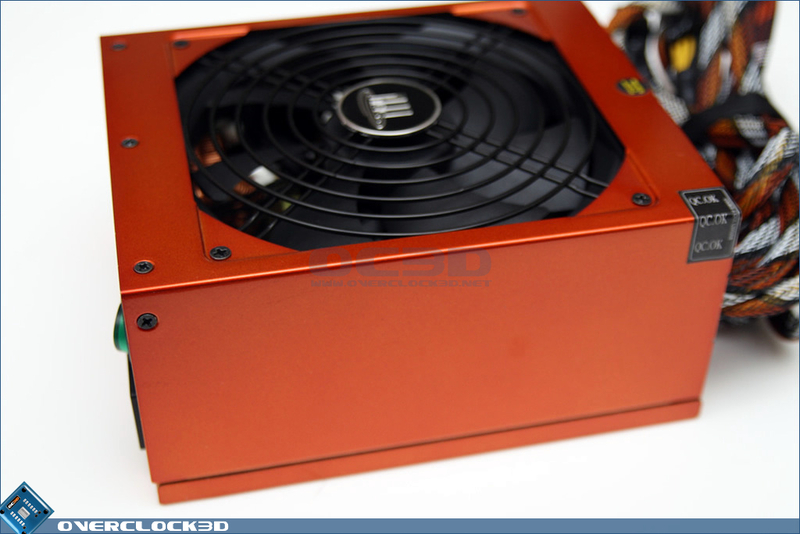 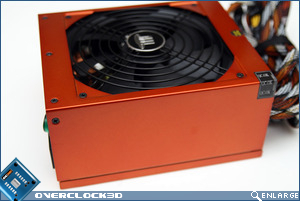 Although the paint job certainly isn't up to automotive standards when it comes to glossiness and shine, viewing the PSU from different angles gives an almost colour-shift effect from dark orange, to light orange, to gold. 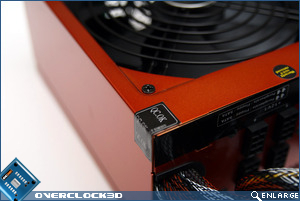 Anybody building a PC based on an orange and black theme is going to absolutely love the look of this unit. 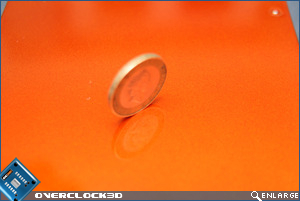 The only down-side of course is that it's not quite as robust as a powder-coat finish and will scratch/chip if mishandled. 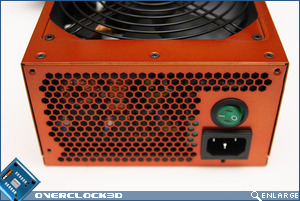 At the back of the unit is the usual honeycomb grill accompanied by a power switch and kettle lead style plug socket. 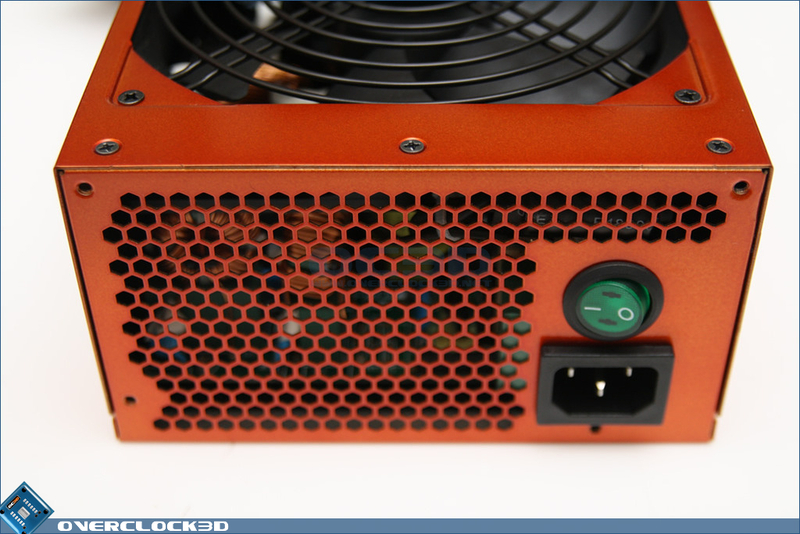 Bling fans are going to be pleased to hear that the switch does indeed light up when the PSU is powered on, but unfortunately HEC missed a trick here by making it green rather than orange. 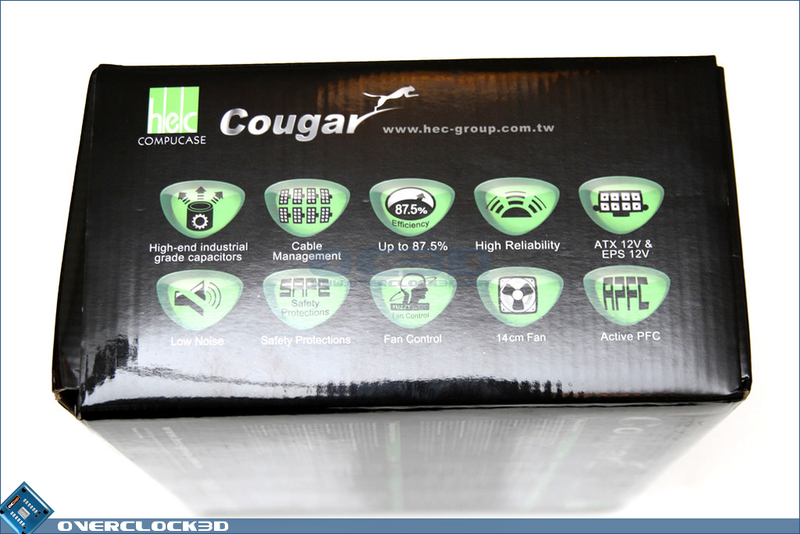 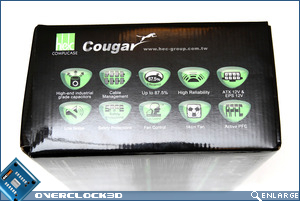 Finally at the side of the unit we have the specifications sticker along with the Cougar logo embossed on the right-hand side at a vertical angle. 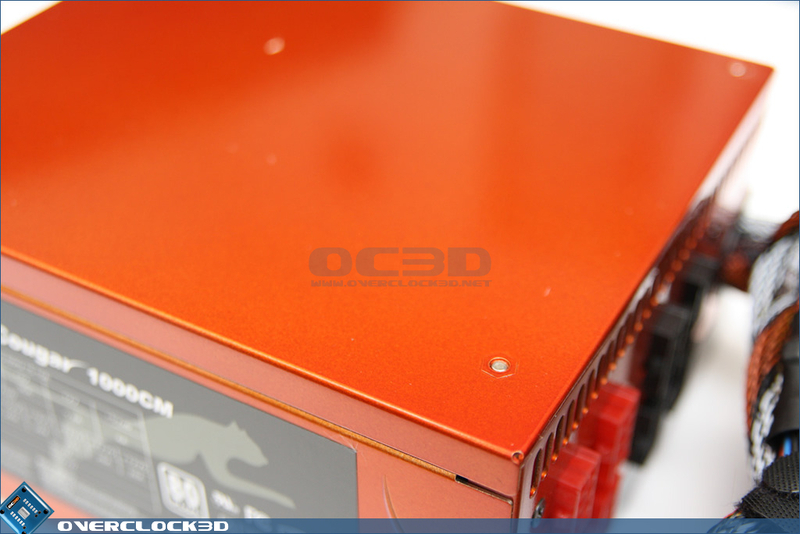 As per usual the specification sticker is printed with a rail layout chart for the unit along with various other global safety certifications and warnings about how you'll get zapped if you open the PSU casing.